Having access to the right prospects makes a world of difference when it comes to marketing. Our targeted mailing lists provide data for over 300 million consumers and over 20 million businesses. By being able to choose from a wide range of selections, demographics, and psychographics, you can pinpoint the exact right people to receive your print materials in the mail. Our variety of list services will help you increase your customer base and grow your business effectively and efficiently. More than 40 million Americans change their address every year. This can be an issue for companies that execute a lot of mailing campaigns. We can help you manage this by matching your mailing list against the USPS NCOA database and modifying your list with the new, correct addresses. This will decrease your mail postage spending by excluding mail that is undeliverable, ensuring the mail is delivered to the right address. 48 Month - Lists will be verified alongside the USPS database, which includes 48 months or 160 million permanent change-of-address records. DPV® - Pinpoints and helps fix addresses that are not recognized by the USPS. SuiteLink™ - Appends and corrects any suite information that may be missing from business addresses. LACS Link™ - Updates addresses that have been renamed or renumbered. Get rid of duplicates! Whether you have doubles on your database alone, or would like to merge together separate prospecting databases, we can identify and keep only the best records for your campaign. Duplicate information is a waste of printing, postage, and money. This process will clean up lists based on individual name, address, household, or a customized criteria. Our merge/purge work is done using state-of-the-art software and matching logic. This helps you find more true duplicates, which can save you money. During CASS Certification procedures, sometimes certain addresses are unable to match to a ZIP + 4 using software. This can result in a price increase for postage. To correct this, we use a method called AEC, or Address Element Correction. AEC is designed to modify addresses through correcting misspellings, uncommon abbreviations, and other incorrect elements. A big question facing mailers is proving a given address is a valid address. DSF2™ (identifies deliverable addresses and specific addresses) is a data file that contains all domestic addresses serviced by the USPS. Each address is a separate record on the file that conforms to all USPS addressing standards. 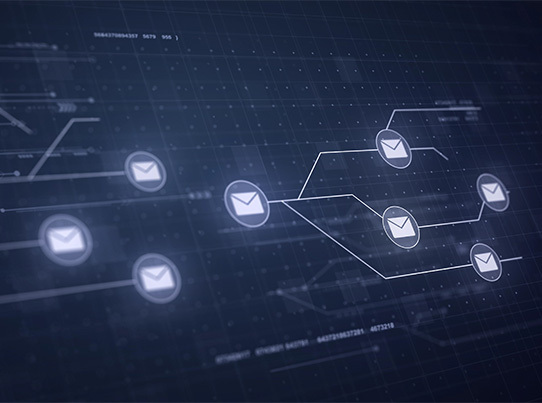 As our clients use our DSF2™ services, it helps reduce the amount of undeliverable-as-addressed (UAA) pieces, which saves money, and results in more efficient mailing campaigns. No one wants to waste money sending their mail to unqualified recipients. We offer a variety of suppression solutions that will allow you to filter out bad addresses. The most commonly-used suppressions we offer are Deceased, Do Not Mail, Prison & Nursing Homes.